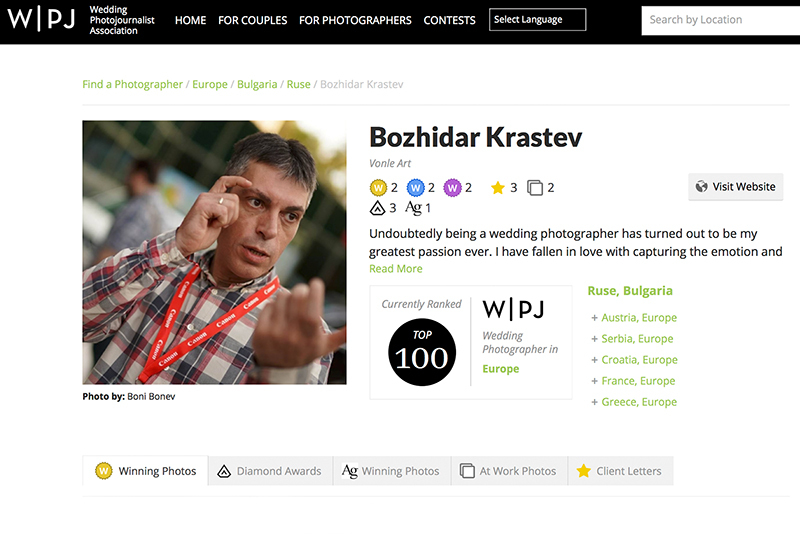 We are eager to share with you that Bozhidar Krastev has been ranked in TOP 100 of the best wedding photographers in Europe still during the first year he joined the most reputable Wedding Photojournalist Association – WPJA. This is a true reward for the honest and authentic wedding reportage exclusively practiced by the best wedding photojournalists in capturing the spirit and the emotions of a wedding day. We are extremely pleased to announce that our photography is being highly recognized by the most reputable international associations for wedding photography. Our photos have been awarded as best wedding photography and take place next to the big names worldwide.